Danny Heep was a respectable major leaguer who made a career not out of being a star, but of being a highly useful role player who fit in well on championship-caliber teams. He was born on July 3, 1957, in San Antonio, Texas, where he grew up and went to college. His father, Jacob, was a semipro baseball player who worked in logistics at Kelly Air Force Base. Heep’s uncle, Matt Batts, had a 10-year major-league career, mostly as a backup catcher. He spent half of it with the Boston Red Sox and as a result, most of the Heep family rooted for Boston. But Heep picked his own path and rooted for the Pirates teams that were led by Roberto Clemente and Willie Stargell. Jacob Heep got his son involved in baseball at a young age and Danny established himself as being pretty good, good enough pitch and play the outfield locally at St. Mary’s University, an NAIA school. This was not an ordinary NAIA program. Heep was more of a star as a pitcher than as a hitter. As of 2015 he ranked second in St. Mary’s history in career ERA (2.33). In 1978 he posted an 0.69 ERA and 11 saves. Heep earned All-Conference honors for three years and was Big State Conference Player of the Year in 1978. 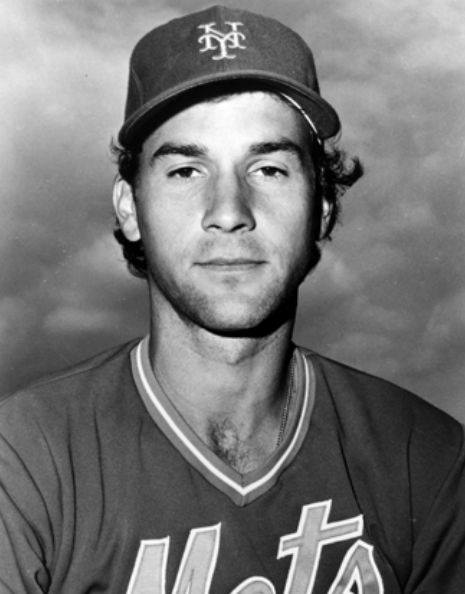 He was selected by the Houston Astros with the 37th overall pick in the 1978 major-league draft. Heep hit .340 in 66 games for Daytona Beach in the Florida State League, then the next year for Columbus (Georgia) in the Double-A Southern League, the power came. He hit .327 with 21 home runs and was named the league MVP. This time the Astros brought Heep up in mid-July for a longer look and he made the playoff roster as the Astros won the NL West and faced the Philadelphia Phillies. They lost in an epic five-game series that ranks among the best in postseason history. Heep, who hit .276 in 87 regular-season at-bats, had one at-bat in the series, flying out in the 10th inning of Game Five. The Astros made the playoffs again the next season and lost to the Dodgers in the Divisional Round. Heep, again a late-season call-up from Tucson, did not play in that series. Though Heep didn’t match Scott’s Houston stardom, the Mets got good value from him as a pinch-hitter and backup outfielder. Heep wanted to play more often than he did and made that known publicly in August, venting to a reporter from the New York Post that “they can get anyone to do what I’m doing for them.”4 But with time, Heep adjusted to his role. He hit four pinch-hit home runs in 1983. And he found a fan in new manager Davey Johnson, who took over in 1984 and got Heep into the lineup. Heep was also a part of one of baseball’s most unusual highlights. On July 4, 1985, the Mets and Atlanta Braves played a bizarre 19-inning game in Atlanta. Heep watched the game-tying 18th-inning home run hit by Braves pitcher Rick Camp sail over the left-field fence and put his hands on his head in disgust. The Mets won the game, 16-13 in 19 innings. It ended at close to 4 A.M. The Mets did more than stay afloat. The 1985 team won 98 games, finished second to the Cardinals and was in the race for the NL East title until the season’s final days. After finishing second in each of the previous two seasons, the Mets came into 1986 with the intent of dominating. Heep had his best season to that point, hitting .282 with a .379 on-base percentage and 5 home runs in 195 at-bats. He was solid as a pinch-hitter, with nine hits, eight RBIs and a .300 batting average off the bench. When the Mets made the World Series, Heep got a chance to play. The Mets lost the first two games, with Heep coming off the bench in both, but he got a chance to start at DH in Game Three. After the Red Sox botched a first-inning rundown to keep a Mets rally going, Heep singled in two runs against Red Sox starter Oil Can Boyd. That extended a 2-0 lead to 4-0 and the Mets were on their way to a 7-1 romp. It cut Boston’s lead in the series to two games to one. The Mets got even in the series by winning Game Four, 6-2 (Heep went 0-for-4) but lost Game Five (with Heep on the bench) to trail three games to two. Heep played a peripheral role in the Mets’ comeback in Game Six. With the team down 2-1 and men on first and third with nobody out in the fifth inning, Johnson had Heep pinch-hit for Rafael Santana. Though Heep hit into a double play, the tying run scored. The Red Sox took a 5-3 lead into the bottom of the 10th inning of Game Six. As the first two outs were made, Heep was among those players watching with Keith Hernandez in Davey Johnson’s office, where players would often hang out during games. He saw the groundball go through Bill Buckner’s legs there. It was. The Mets won Game Seven to win the World Series. Heep got to be a participant in a championship parade. Among the things he remembered most about his playing time was the camaraderie of the 1986 Mets. Though Heep was a member of the “Scum Bunch” (the nickname for a group that drank and goofed off on plane trips), he stayed out of trouble. Heep was a free agent that offseason and ran into the same issue that other free agents had that offseason. Teams did not make any free-agent signings. (An arbitrator later found owners guilty of collusion and they were forced to pay a penalty.) As a result, Heep, who wanted to return to the Mets, agreed to a deal with the Los Angeles Dodgers. Heep spent two years with the Dodgers, where his role was as a backup outfielder and pinch-hitter, similar to that which he had with the Mets. He was a member of the 1988 Dodgers team that stunned the Mets in the NLCS and the Athletics in the World Series. When injured pinch-hitter Kirk Gibson hit his game-winning home run off Athletics reliever Dennis Eckersley, Heep got a view from the dugout, rather than the clubhouse. In February 1989 Heep signed with the Red Sox and, at age 31, got the most playing time he’d ever gotten in his career as the Red Sox had injury issues in their outfield. He hit .300 in 320 at-bats with more walks (29) than strikeouts (26). In 1990 Heep had back problems and needed surgery. When he tried to come back, near the end of the season, he was not effective, though the Red Sox still thought enough of him to put him on their postseason roster. He went 0-for-2 in the ALCS as the Red Sox were swept by the Athletics. That offseason Heep became a free agent and was invited to spring training with the Chicago White Sox. The Atlanta Braves gave him a chance but after a month on their roster in May/ June, he was asked to accept a demotion. Heep’s wife was eight months pregnant with their daughter, Joanna, at the time and Heep realized it was time to end his playing career. He declined the demotion and retired. Not long after that, an assistant-coach position opened up at the University of the Incarnate Word, a private Catholic college in San Antonio. Heep applied and was hired. He became the program’s head coach in 1998 and had 18 seasons on the job as of 2015. He steered it through promotions from NAIA to NCAA Division II in 2000 and Division I in 2014. Through 2014 Heep’s team had won more than 500 games and he was a three-time conference coach of the year. This biography is included in the book "The 1986 New York Mets: There Was More Than Game Six" (SABR, 2016), edited by Leslie Heaphy and Bill Nowlin. 1. Phone interview with Danny Heep, July 16, 2015 (hereafter Heep interview). 2. Cecil Darby, “Heep Hitting a Heap at Columbus,” Columbus Ledger, September 1979. Undated clipping in Heep’s player file at the National Baseball Hall of Fame. 3. The Sporting News, August 9, 1980. 4. Mike McAlary, “Heep fuming over part-time role,” New York Post, August 16, 1983. 7. Danny Heep radio interview with Mike Silva, Blogtalk Radio, July 9, 2008. 8. Rosters were 24 players instead of 25 that season and three others, as noted at baseball-reference.com/bullpen/Roster. 9. Email interview with Greg Prince, July 28, 2015. 12. Heep interview with Silva.